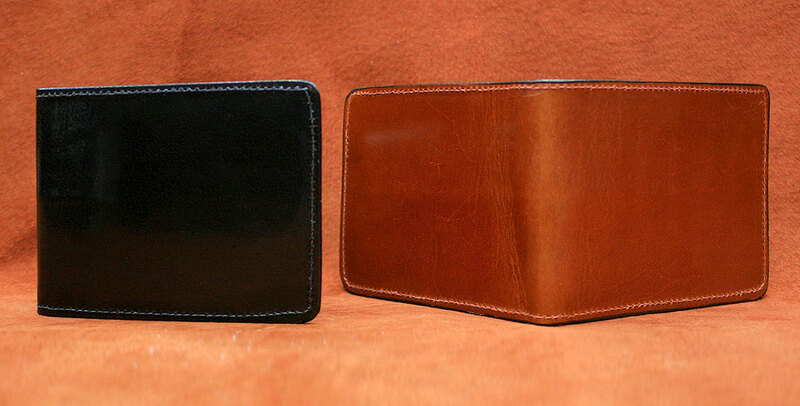 James Culver men's wallets are constructed using the finest quality, thinnest leathers available. 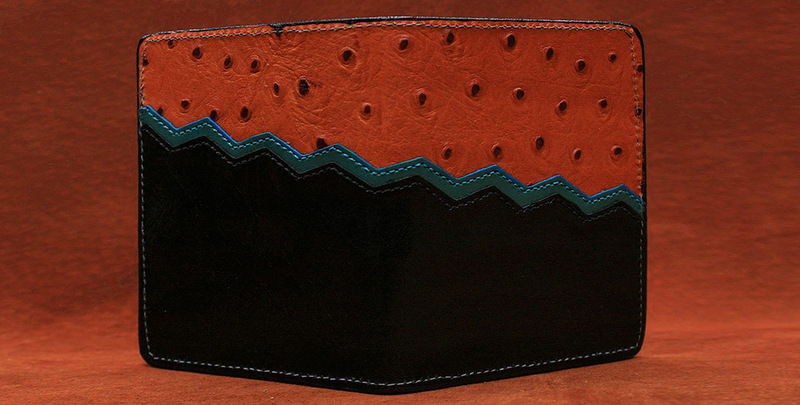 All the men's wallets are made from top quality calfskin on the exterior & fine kidskin inside. The only fabric is utilized inside to keep the credit cards separated. They will break-in similar to a pair of shoes, then provide years of wear and satisfaction. Click on the picture to enlarge & hover mouse over picture to view description … on phones or tablets touch the little white dot in the lower right corner (works better in landscape mode) of the enlarged picture for the description. 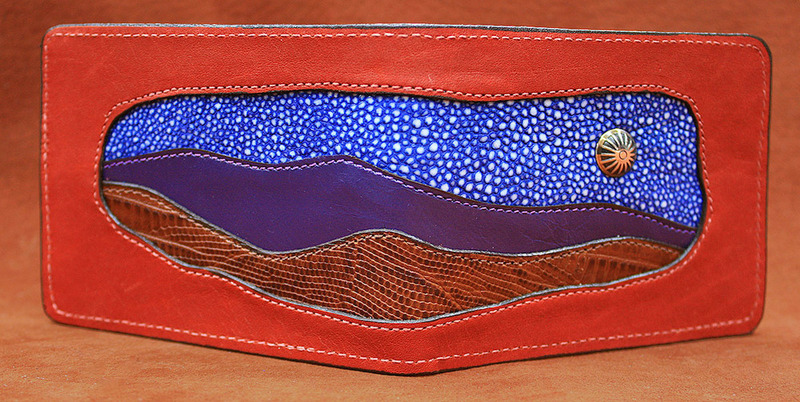 These photos are representations of the designs and color combinations we can do on wallets. We adapt the design to fit the particular item you order. 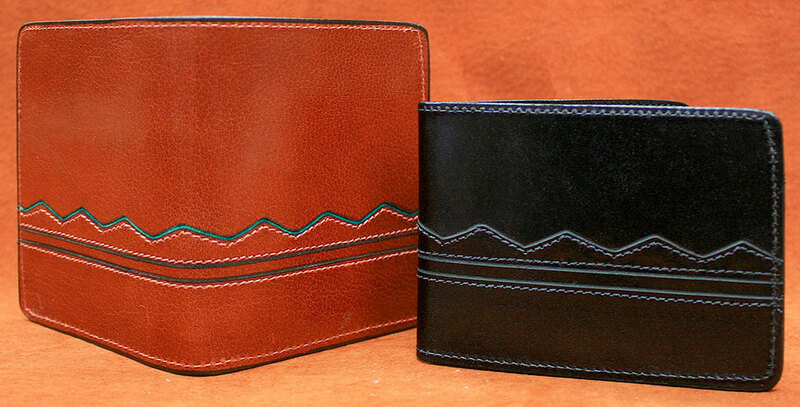 Please find the types of wallets we offer along with the prices below the designs. Click on the images below for more info. CF - Six Slot Horizontal Bifold Wallet. 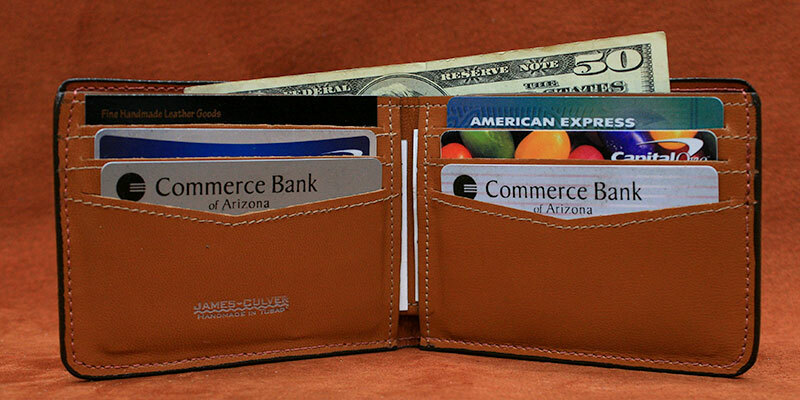 A compact horizontal traditional bifold with money slot. There is a slip pocket behind the card slots on each side. Fits into back pocket of all pants. 3"h x 4 1/2"w closed. 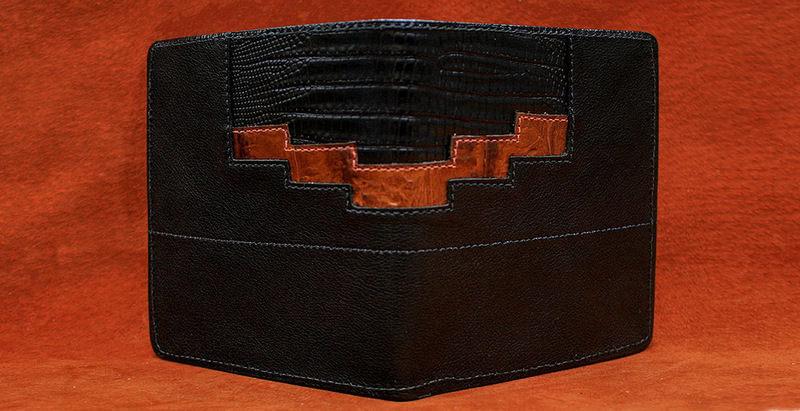 A roomy bifold with money slot. There is a slip pocket behind the card slots on each side. Fits into back pocket of all pants. 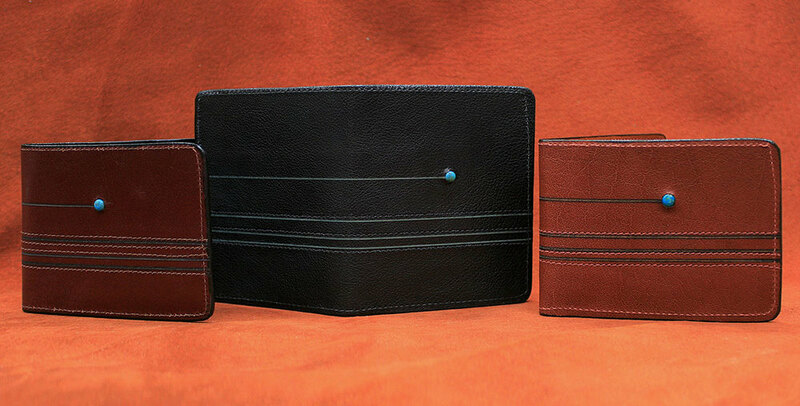 A three fold wallet with money slot ... roomy but compact. Fits into back pocket of all pants. All items are available in any leather and design motif , only limited by construction and durability concerns.